[SatNews] EIAST, the Emirates Institution for Advanced Science and Technology (EIAST), has joined the first global alliance of Earth Observation satellites operators, PanGeo. The alliance was announced at the annual Summit on Earth Observation Business, in its sixth edition, in Paris and is a coalition between EIAST, and three other parties, to share the products, data and images derived from their satellites. 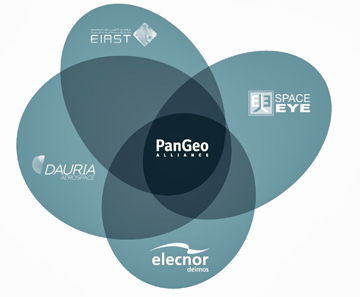 The PanGeo Alliance currently includes four satellite entities from around the world: Dauria Aerospace (US/Russia), the Emirates Institution for Advanced Science & Technology EIAST, (UAE), Elecnor Deimos (Spain) and Beijing Space Eye Innovation Technology (China). During their participation Eng. Salem Humaid Al Marri, Assistant Director General for Scientific and Technical Affairs at EIAST was a speaker at the summit and spoke on the regional focus session. He shed light on EIAST’s strategy and the latest achievements of the institution including the launch of DubaiSat-1 and 2, and also updated the attendees on the khalifaSat project, which will be the first to be manufactured by Emirati engineers in the UAE. He also highlighted EIAST’s products and services, as well as its future projects. “The Middle East and Africa have a genuine need for a large amount of satellite imagery to support their activities in energy, natural resources, the environment and infrastructure development," said EIAST Director General H.E. Yousuf Hamad Al Shaibani. EIAST will benefit from the PanGeo coalition as the Alliance will coordinate access to archives for all members, so that each member can see what is available and directly request images from the entire Alliance archive. The PanGeo fleet is composed of nine satellites currently in orbit: Perseus-M1, Perseus-M2, Dauria-DX-1, DubaiSat-1, DubaiSat-2, Deimos-1, Deimos-2, TH-1-01 and TH-1-02. This fleet will be expanded to more than 30 satellites in the next years with the launch of KhalifaSat, of the Perseus-O and Auriga constellations, and with the expansion of the TH-1 constellation, plus satellites brought into the alliance by prospective new members that may join in the future. The PanGeo fleet provides multispectral imagery in a wide range of resolutions (from 20m to 75cm per pixel), with a daily global imaging capability. Moreover, it provides AIS data for ship identification and maritime traffic control. All PanGeo Alliance members can provide access to the full satellite fleet and product portfolio from all members. The Alliance will, in turn, benefit from EIAST because of the products and services that EIAST currently provides. These include different processing levels on standard Image Products, standard base-maps, and super-resolution techniques. Further value added products and applications that EIAST provide include civil development and construction, environment, emergency response and disaster management. 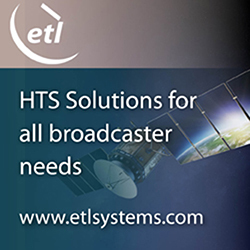 In terms of ground stations, both antenna hosting and ground support services are both provided by EIAST.